Since its inception in 1978, the District has constructed over $330,000,000 worth of major flood control facilities. These improvements include bank stabilization, levees, regional detention basins, bridges and various other drainage facilities. Since erosion is a major consideration in our region, one of the District's main structural flood control efforts has focused on protecting the channel banks of major regional watercourses. To date, the District has constructed more than 101 miles of bank stabilization, which has resulted in the removal of hundreds of acres from flood and erosion hazard areas. Check out our Engineering Division page for additional information on these projects. To date, the District has purchased over 7,000 acres of floodprone land, primarily through its Floodprone Land Acquisition Program (FLAP). Land acquisition is undertaken mainly as a means of removing buildings and residents from potential flood hazards. The District has also used this approach to preserve natural floodplain characteristics in upstream areas and to discourage development from taking place in vulnerable locations. In conjunction with the above flood control measures, the District also regulates building and development in designated flood and erosion hazard areas through its Floodplain Management Ordinance. Today virtually every manmade structure or modification made in a designated floodplain is subject to these regulations. Since 1978, the District has issued over 10,000 Floodplain Use Permits. District staff has reviewed an even greater number of site plans and resolved numerous drainage complaints. Check out our Floodplain Management page for more information on determining if you are in a floodplain area, how to get a Floodplain Use Permit, information on flood insurance, some "do's and don'ts" in floodplain areas and more. An important part of providing flood protection work in any community is maintaining effective flood warning and emergency preparedness capabilities. 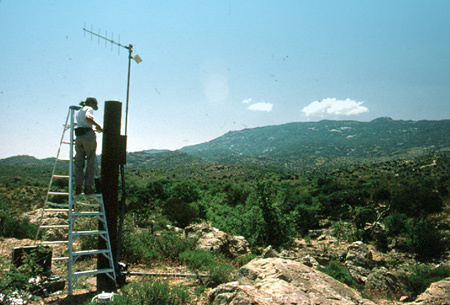 The District operates an ALERT system (Automated Local Evaluation in Real Time ), which consists of a computerized network of over 110 rain sensors, stream gauges and weather stations installed throughout the community. 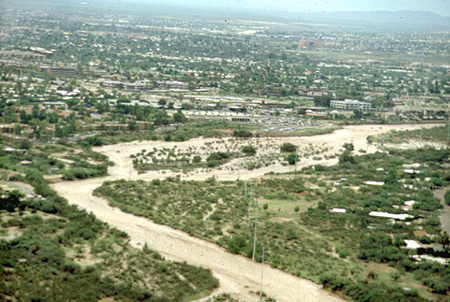 The ALERT system automatically monitors and records rainfall, stream flow and weather conditions and then transmits this information back to the District's base station and the Tucson office of the National Weather Service. The District augments this information with Doppler radar data and first-hand information from a network of volunteer weather watchers. The entire system plays a vital role in forecasting and preparing for flood events, and also helps monitor watercourse flows as flood events unfold. Other important components of the flood warning program are the District's Flood Response Plan and flood hazard mitigation program. Together, these elements work to provide early warning capabilities, real-time storm monitoring and post-disaster recovery programs for the community. The District is involved in a host of associated activities that ultimately help to minimize flood hazards in the community. Some of these activities include river and basin management plans, flood insurance studies, participation in the national Community Rating System program, just to name a few. In recent years, an increasingly important aspect of the District's work has involved the management of natural resources associated with area streams and floodplains. 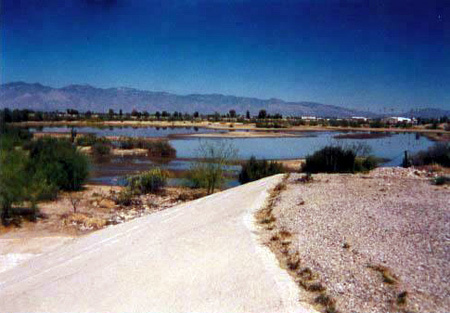 For example, in 1994 the District adopted a series of riparian habitat regulations, which were incorporated into its Flood and Erosion Hazard Management Ordinance. Maps, photographs, ordinance language and other information on riparian habitat is available. In light of its statutory authority, the District has more recently been involved in several groundwater recharge projects. 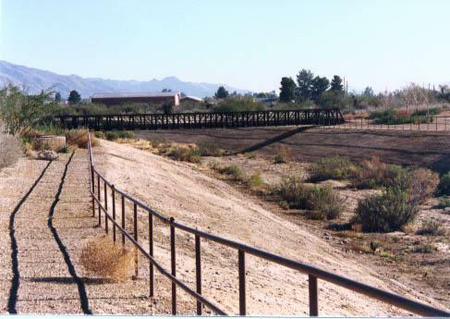 The District has researched the feasibility of both stream bed and off-channel recharge opportunities in a variety of locations. Currently, several recharge projects are in progress in the northwest portion of the metropolitan Tucson area. 201 N. Stone Avenue, 9th Fl.